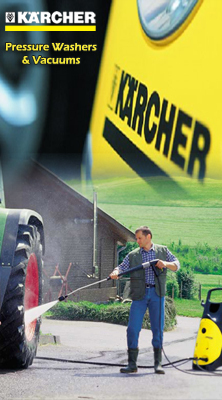 Introducing the G 3025 OH from Kärcher, a no-nonsense workhorse! 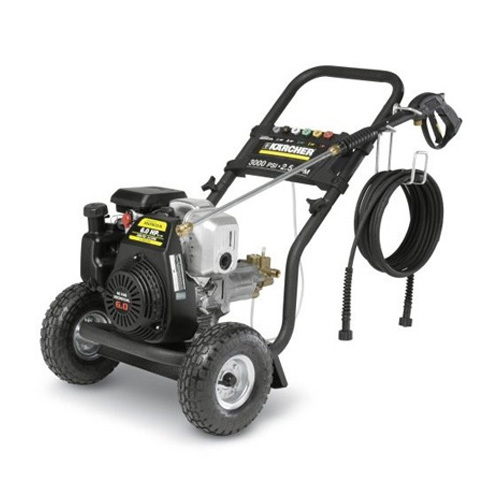 The G 3025 OH is a compact powerhouse generating 3000 PSI, more than 60 times as much pressure as a typical garden hose. Featuring an uncluttered design with easy access to the engine and pump, this unit offers unrivaled ease of use.The G 3025 OH sports many industry-leading features, including a chip-resistant black crinkle finish and an ergonomic frame with 10" pneumatic tires and metal wheels. Weight w/o Accessories 75 lbs.